Armani Aqua are known for their delicious and varied buffet style brunch that brings an elegant mix of Italian food including cold cuts, grilled vegetables, fresh Italian salads, traditional brunch food and Japanese food such as our much treasured sushi and sashimi dishes. Now they have launched their festive feast to help everyone jump into the spirit of the holidays. The brunch will include the usual favourites, but in addition to these delicious treats will be serving up selected holiday favourites. A favourite among us was the Tuscany style sea bream, served with red prawns and clams in traditional and aromatic Italian tomato ratatouille sauce. Succulent and flavourful, the sea bream was a delight to the pallet and a welcome break from waddling up to the buffet bar. For the more traditional folk; traditional turkey with trimmings was available and hit all the right spots for those who crave a Christmas course just like momma makes! For dessert a beautiful strawberry terrine was served up that was so beautiful, it broke our hearts to eat...until we took a bite and all guilt was forgotten. 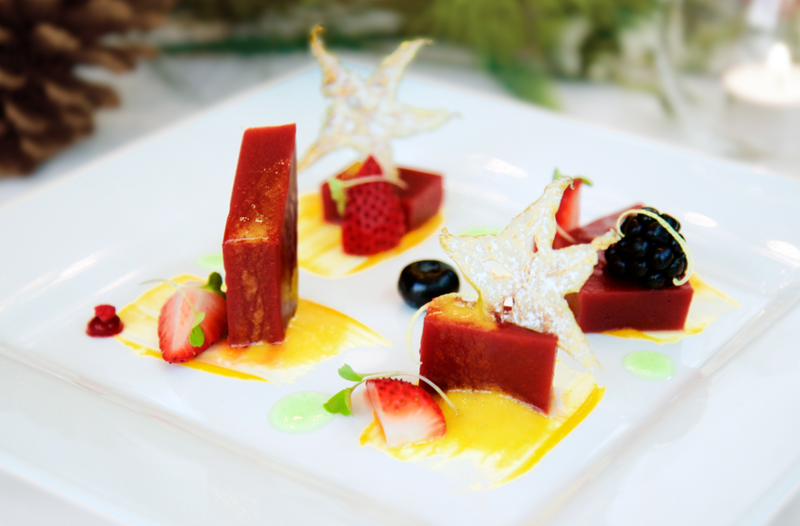 Definitely for the fruit lover, this soft and sweet dessert melted on your tongue and made our Foodie hearts flutter. Plus side? It's a fruity dessert which means it healthy...right? I say yes. Our favourite part? The gingerbread man cocktail. A delicious cocktail that smells and tastes just like the perfect Christmas! 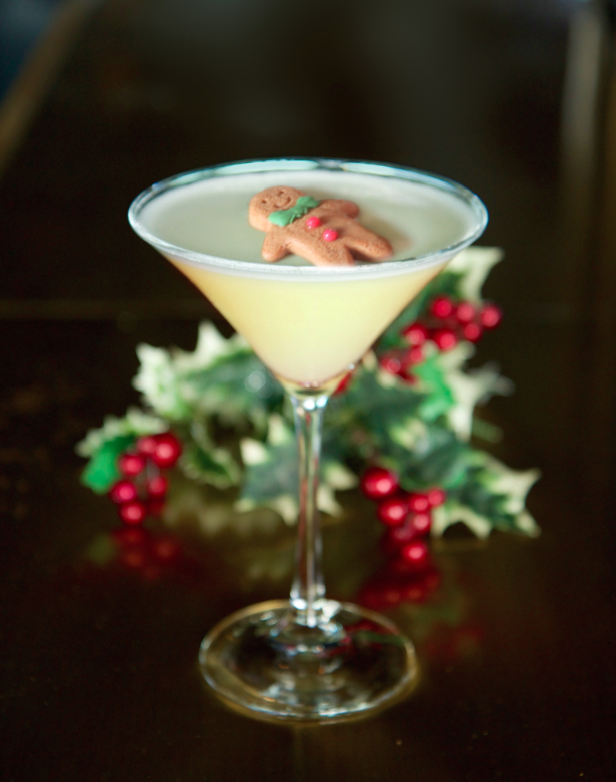 Made with cinnamon, sweet ginger syrup and vodka shaken with lemon, topped with a miniature gingerbread man edible figurine that looks like he's swimming in heavenly Christmas goodness. Not a bad life for this gingy! 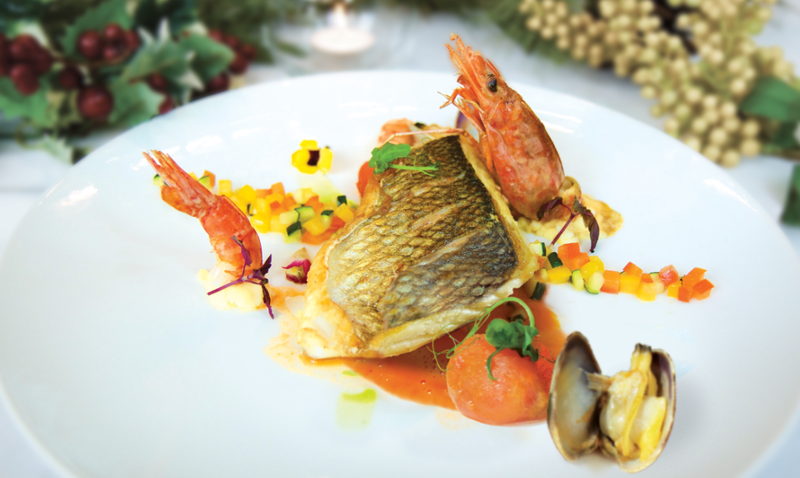 The restaurant’s festive menus for Christmas Eve dinner and Christmas Day will be priced at HKD$888 for 5 courses. 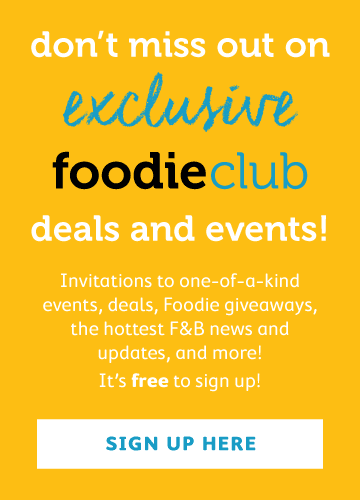 I have a ridiculous name, and an even more ridiculous obsession with eating. Writing is good too.